Cosy and bright with a magnificent panoramic view of the old church and beautiful garden. 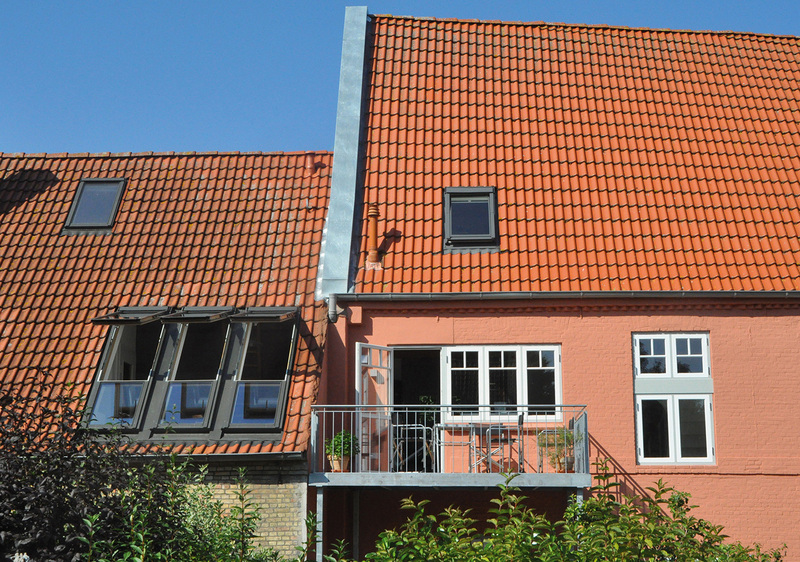 This is a living room situated in the attic of this summer house in Friedrichstadt near Husum, which becomes increasingly attractive thanks to three balcony windows arranged next to each other. Use the handle to open slightly upwards top part of the window. Then unlock the bottom window sash and move it outside. Side barriers will open once this step is carried out. This creates a practical balcony in the roof and ensures a delightful view of the nearest surroundings. 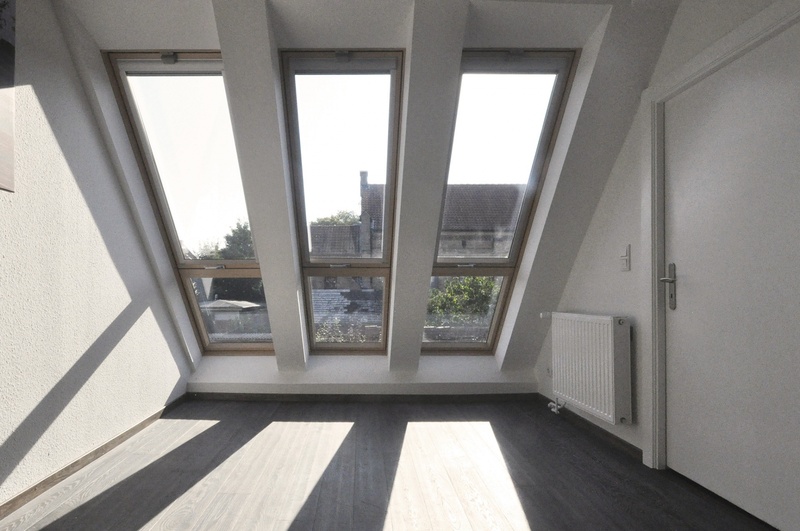 The interior surface suitable for walking under the sloping roof can be enlarged by means of large-sized glazing, while the area outside the window can be used as a balcony. Side safety barriers are integrated into the sash and slide out during opening. When closing the lower sash, balcony rails are hidden inside the window and are not visible above the roof surface. Flashing elements concealed under the window do not collect dirt, while the window optimally integrates into the roof structure. Both sashes are made of vacuum impregnated pinewood coated with acrylic varnish and come equipped with innovative P2 glazing unit. As house is eye-catching, high quality FAKRO balcony windows feature increased operational safety and burglary resistance thanks to patented topSafe system. View of the roof with the windows closed. 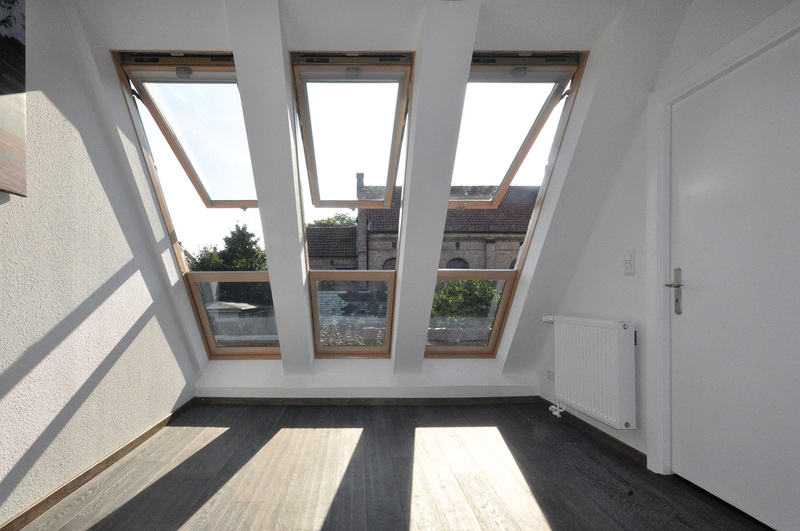 One should pay attention to a uniform image of the window design, resulting from the fact that protective barriers are concealed under the flashing elements and do not protrude beyond the roof surface which greatly improves the aesthetics of the roof. 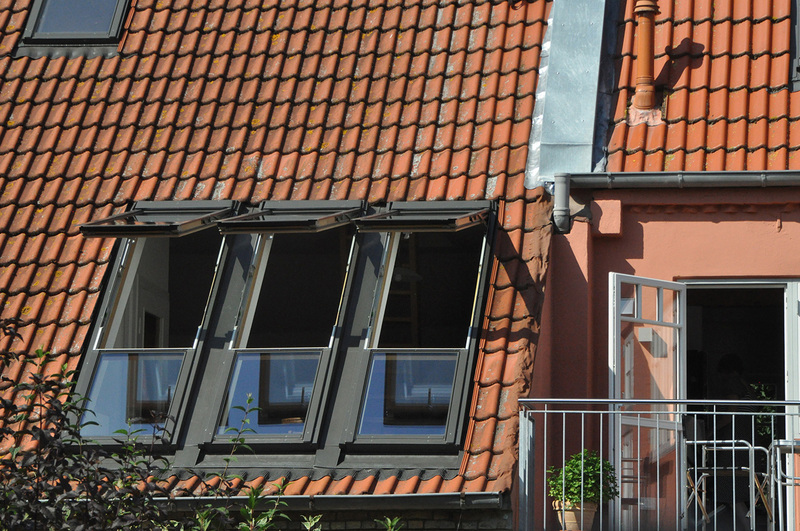 Opened balcony windows are sensible and modern alternative to the standard balcony as the living space can be used more freely than the surface of the balcony. This is an advantage in comparison to traditional balconies which are usually too small or too narrow to be sensibly used as an outdoor area. 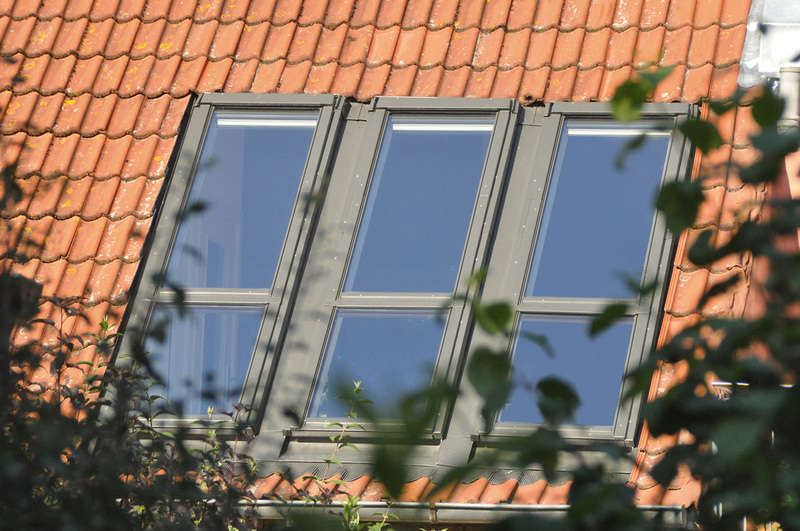 Three impressive balcony windows installed side by side create a panoramic view of the church and garden. Interior area under the sloping roof suitable for walking is increased. The result is a lot of space that you can arrange and use in a way that matches the balcony window. The ordinary room is transformed into the space which is interesting in terms of architecture and makes us feel good inside. Whether opened or closed, the living space gains attractiveness with a panorama and high quantities of natural light through large-sized glazing.